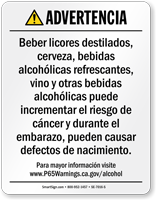 Our line of Proposition 65 products is compliant with California state law. Use our products to mark teratogenic and carcinogenic hazards. 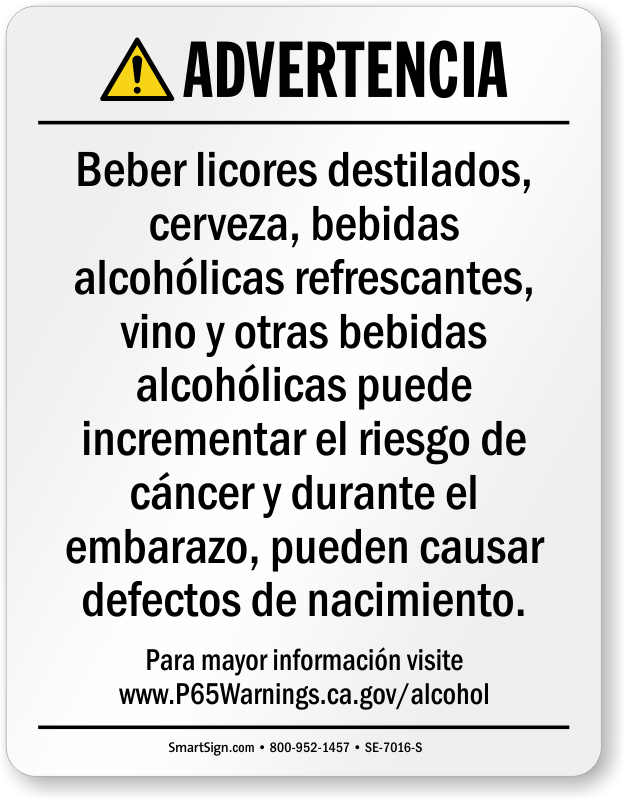 • California requires a 8.5" x 11" sign to be placed eye level at the entry area, or areas, of where alcoholic beverages are served. • Sign meets 22 point minimum font size requirement. • Our Showcase signs are our flagship product.